​I also am in love with the coordinating French Kiss cut files. Once I cut a few clouds from Doodlebug Seaglass colored cardstock, I knew I wanted to base my whole design around these adorable fluffy clouds. 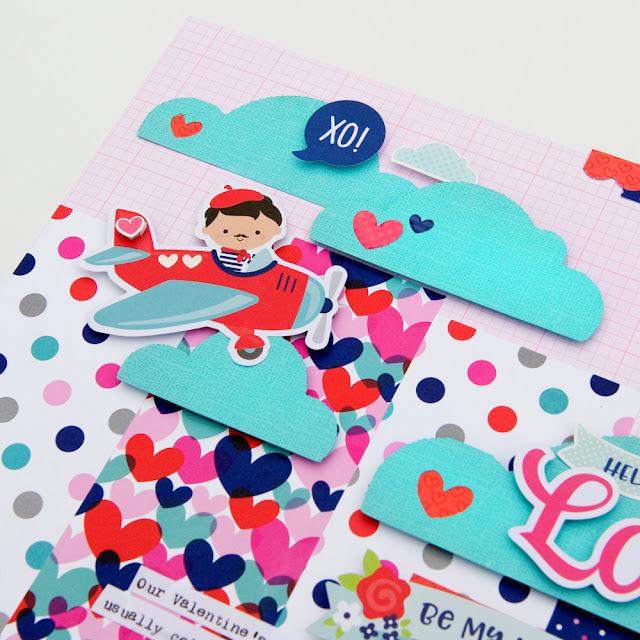 And how perfect is that little French-inspired pilot (from the Odds & Ends pack) flying through the clouds?! I embellished the plane's tail with a heart sticker and added two white baby heart Sprinkles behind the pilot seat. Cute, right?! I used the graph side of the Bubblegum Floral-Graph Petite Prints patterned paper for my background and it was the perfect soft base color for this project. 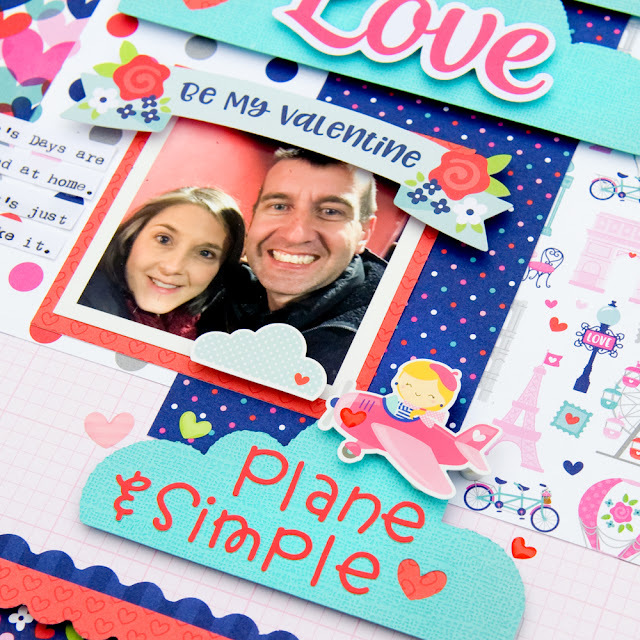 ​​The title is my favorite part of this layout because I love the adorable 'plane and simple' phrase. And the small pilot gal sticker is the perfect size for this cloud. It's actually from the Mini Icons sticker sheet. Not only are the Mini Icons perfect for calendars and planners, but for layouts as well! And of course I had to add a baby heart Sprinkle to her plane. I completed the title using some of the Ladybug Teensy Type alphabet stickers. ​Thanks for joining us today! I hope I have inspired you to grab some of the adorable French Kiss collection and document your loved ones. Plane and simple, right? This is just DARLING!! A wonderful layout!! Love this fun collection!! You layout is so cute, I am so enjoying the navy included in this collection. LOVE the play on words! Fab layout!